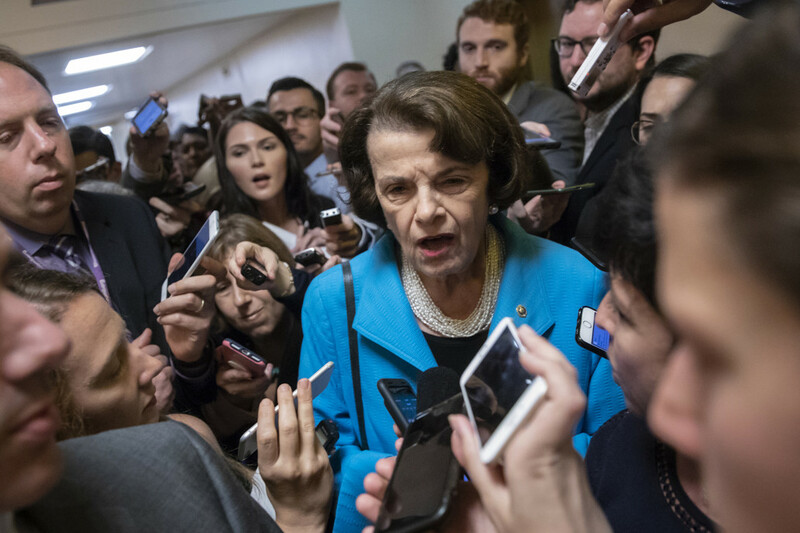 Democrats on Tuesday proved they’re not out to carefully consider Christine Blasey Ford’s accusation against Judge Brett Kavanaugh. They just want to use it as the pretext to keep the circus running for weeks. Led by Sen. Dianne Feinstein, they’re now demanding a long, drawn-out investigation into Ford’s sexual-assault allegation. But what’s to investigate? She can’t give a specific time and place for the event; is the FBI supposed to track down everyone who attended a high-school party in the DC suburbs in 1982? Meanwhile, the accuser still hasn’t responded to numerous requests from the Senate Judiciary Committee to arrange the testimony she claims she wants to give — raising questions about whether she’ll even show up at Monday’s hearing. Republicans have made clear they’re prepared to treat Ford’s allegations seriously and allow her to be heard, publicly or privately. But Feinstein (who had Ford’s letter in July yet never asked Kavanaugh about it when they met privately), wants many witnesses called, including “experts” on sexual-assault trauma, even if Ford herself doesn’t show up. Democrats also want the FBI (which already has vetted Kavanaugh six times over the years) to investigate. But the agency has declined, saying no federal crime is involved. All this places the Supreme Court nominee in an untenable position — forced not only to deny a negative, but to answer 36-year-old recollections on which his accuser can offer only vague details. And there’s likely little he can do to clear his name, even though no other such allegations have been made against him. Moreover, Republicans will be hard-pressed to challenge Ford (if she shows) without being accused of attacking a victim. GOP Sen. Susan Collins has suggested allowing only lawyers for both people to question the two witnesses, rather than senators. Democratic Sen. Doug Jones wants an independent counsel. Don’t bet on it. This is all about political hardball: Democrats could have vetted this allegation months ago without public hysteria instead of waiting for the last minute. What we’re going to get instead is political theater — and theater of the absurd, at that. can do with some p.c. to pressure the message home a bit, however instead of that, this is fantastic blog. for much more of your respective intriguing content. Ensure that you update this again very soon..